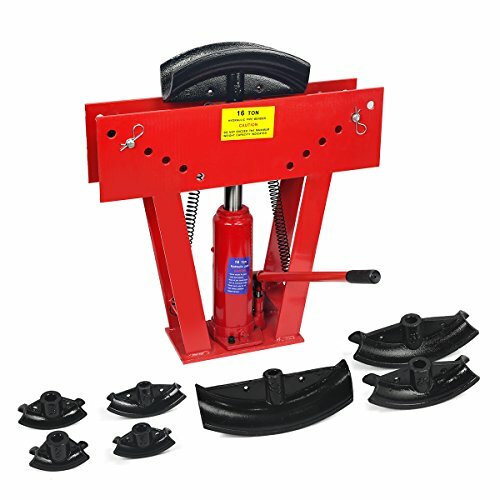 Whether you’re a weekend warrior who loves doing DIY home repairs or a fully trained professional who handles large projects, you’ll want to have the best pipe benders. These tools allow you to bend piping of various materials (including stainless steel and copper) to your desired curve and angle. There are several types of pipe benders, such as electrical and hydraulic models, but the most common are those that require manual force. 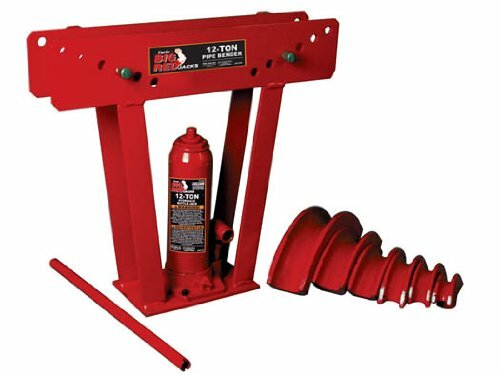 Bending Bars Can Be Adjusted From 8-1/2" to 27"
Includes: 8 Precision Cast Dies 1/2", 3/4", 1",1 1/4", 1-1/2", 2", 2-1/2", 3"
This model has the ability to bend round or square solid rods that are half-inch to three inches thick. 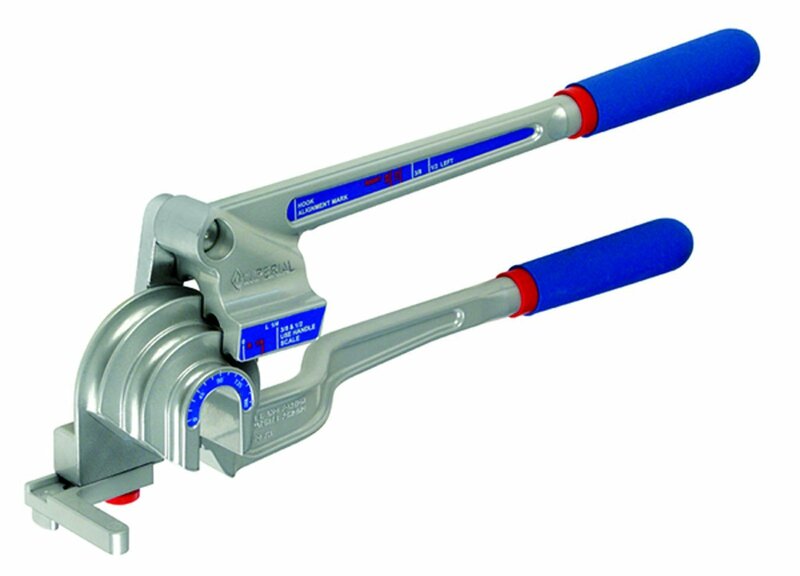 It has a maximum jack capacity of 22 and ¾ inches, and its bending bars can be adjusted from 8 ½ inches to 27 inches. This comes as a set so, aside from the pipe bender itself, you’ll also get eight precision cast dies that measure ½ inches, ¾ inches, 1 inch, 1 ¼ inches, 1 1/2 inches, 2 inches, 2 ½ inches, and 3 inches. 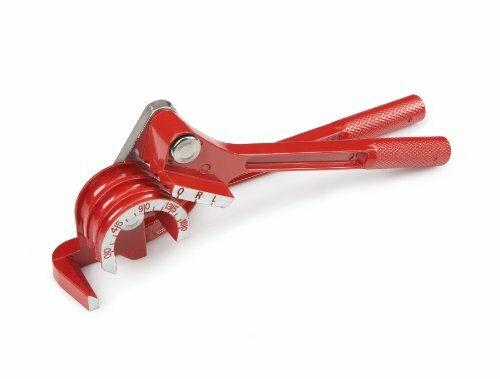 This unit can handle pipes that are made of brass, copper, aluminum, and even thin-wall steel, bending them without crimping and creating smooth, high-quality curves. It comes with a three-channel design that can accommodate O.D. tubing that are ¼ inches, 5/16 inches, and 3/8 inches in size, and it can be calibrated to bend tubing up to a 180-degree angle. The rugged, heavy-duty aluminum alloy construction of the TEKTON 6519 allows it to withstand wear and tear and last for a long time. Just one tool works on three sizes of tubing 1/4" 5/16" and 3/8"
This model can bend brass, aluminum, and copper tubing and create up to 180-degree bends in them, and its adjustable design allows it to work on pipes measuring ¼ inches, 5/16 inches, and 3/8 inches. It weights just 13.6 ounces (making it light and portable to carry around), and it’s designed to be easy to use. This unit can accommodate all types of pipes except conduit ones and can handle tubing that are ½ to 2 inches in diameter. 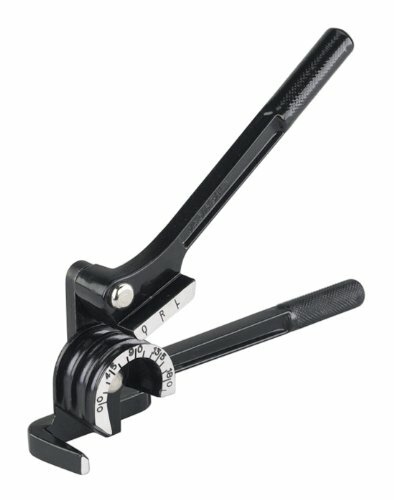 It measures 24 inches by 21.5 inches by 61.25 inches, and it comes with adjustable top rollers that allow it to bend pipes up to 90 degrees. Designed for aluminum and soft copper tubing, this tool can create smooth and tight-radius curves with angles up to 180 degrees. Its design allows it to slip over tubes at any point and bend them without scoring or flattening them, while its die cast aluminum construction and non-slip grip handle makes it long-lasting and easy to use. Explore the best pipe benders in the market to choose the right unit that matches your needs!